But also a bit busy. 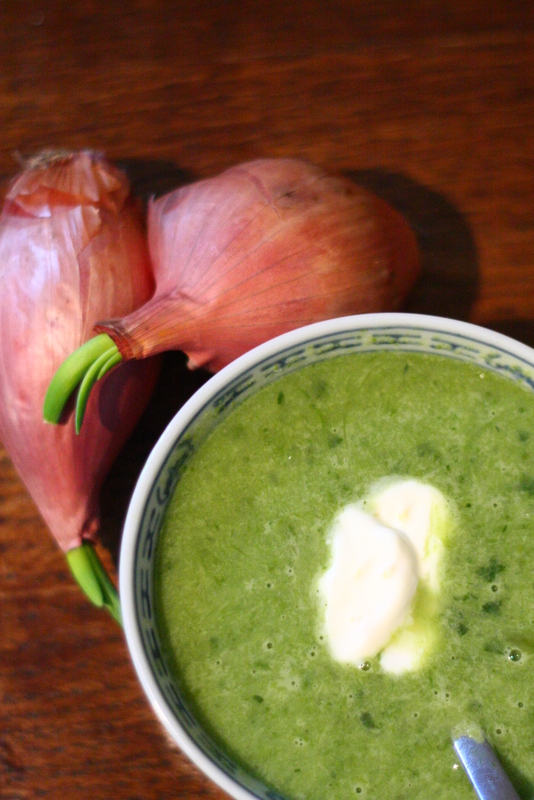 Anyway, I have for you here my most favourite spring soup. It’s super simple – just asparagus, shallots, cilantro and a bit of butter – and it’s good warm or cold. Also, it takes about 15 minutes to make, including prep. The original recipe from Bon Appetit calls for the soup to be strained but I prefer not to do that, I like the chunks. 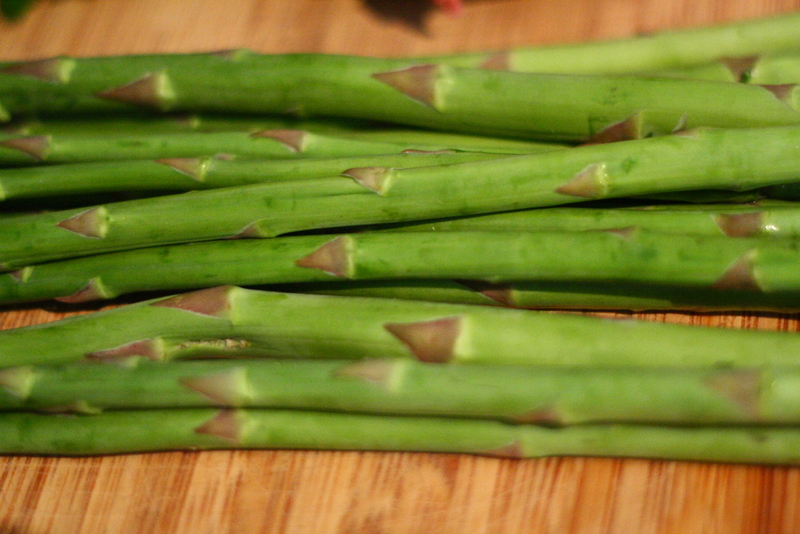 The key is to choose the thinnest asparagus stalks you can find so the soup won’t get that stringy, woody texture. 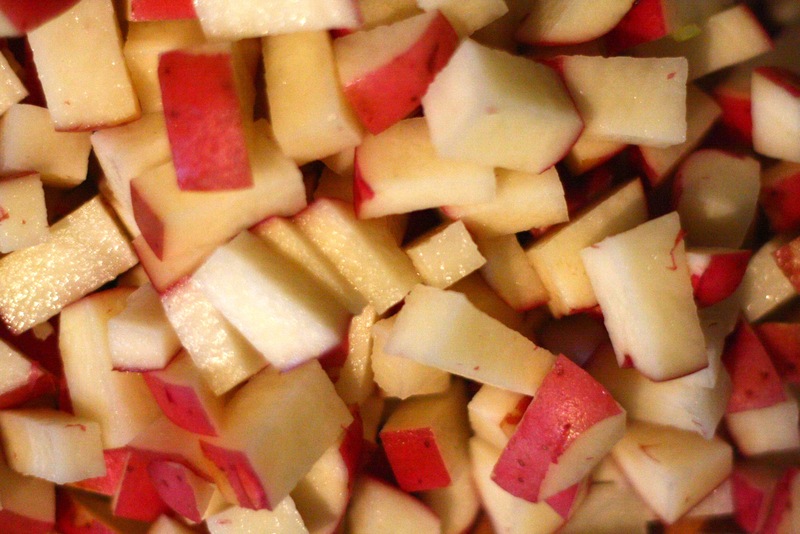 If you must use thick stalks and you’re not planning to strain the soup, just peel them before cutting them up. Melt butter in heavy large saucepan over medium heat. 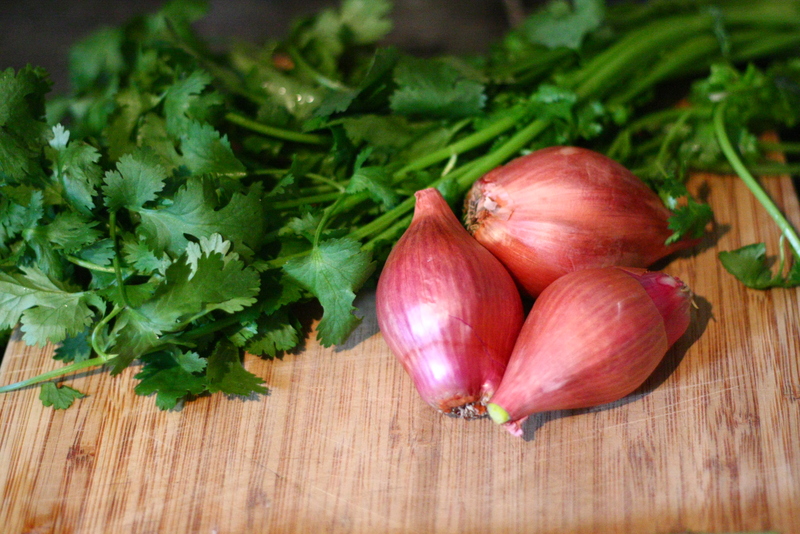 Add shallots and sautee until soft – about 5 minutes. Add asparagus and cilantro – stir 1 minute. Add vegetable broth and simmer until asparagus is tender, about 5 minutes. Puree and season with salt and pepper to taste. Stir sour cream, lemon juice, and lemon peel together in small bowl. Divide soup among bowls. Top with a dollop of lemon creme and serve. 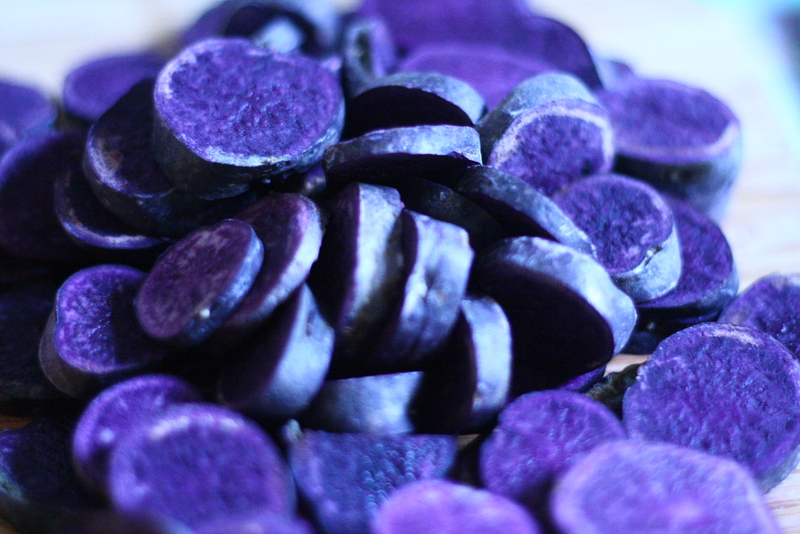 Apparantly there are a whole bunch of really colourful root vegetables that I didn’t know about… I thought the little purple fingerling potatoes I bought were just purple on the outside and would be normal potato colour inside. Wrong! They’re purple the whole way through! I don’t know what kind of crazy wizard did this to vegetables but I like it. 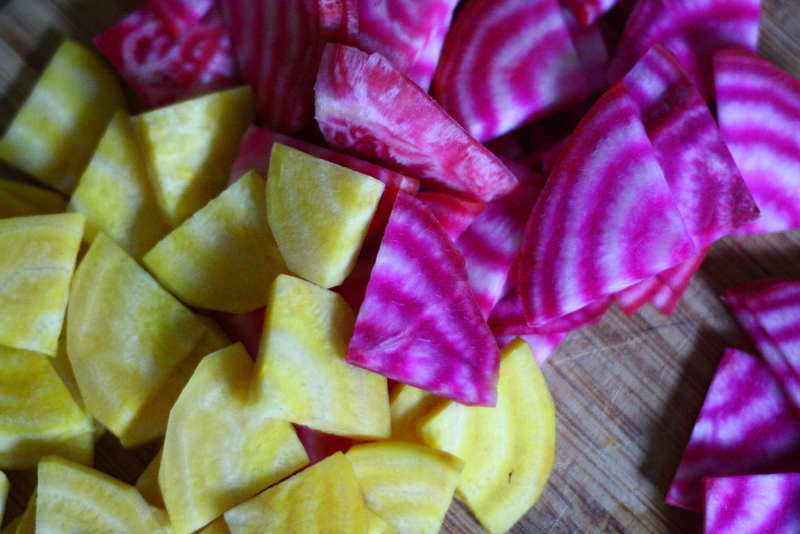 Aside from being aesthetically pleasing, the potatoes are just potatoes, but the candy cane beets and yellow beets taste much sweeter than your average (but still lovely) red beet. Cut the peeled beets in half lengthwise. Set the halves down on the flat side and cut them in half lengthwise again, cut them crosswise into thin slices. Toss sliced beets and potatoes with salt, a generous amount of pepper, and enough olive oil to coat. Place mixture in a shallow ovenproof dish and roast until vegetables are just tender (beets should stay a bit firm) – 25 to 30 minutes. 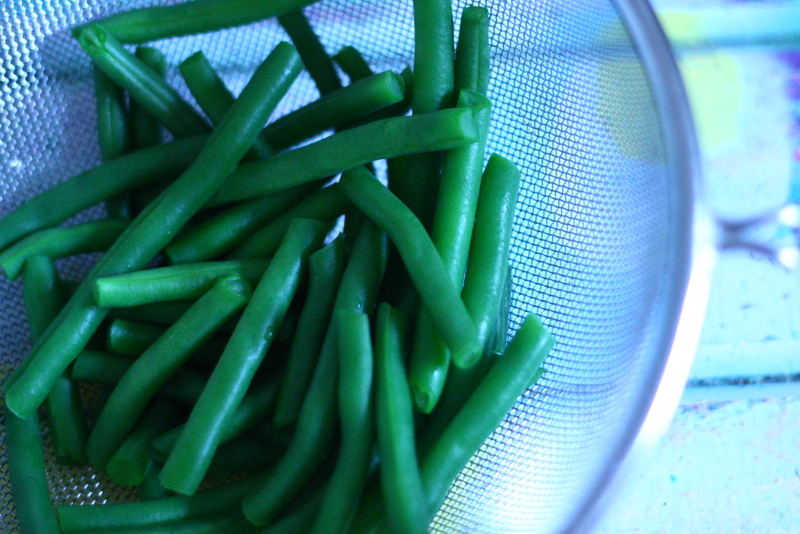 While the vegetables are roasting, bring a pot of water to a boil and add green beans. Boil for about 30 seconds then transfer to an ice bath or run under cold water to stop cooking. They should be bright green and slightly tender but still crisp. Whisk together mustard, cider vinegar and 2 tbsp of olive oil. 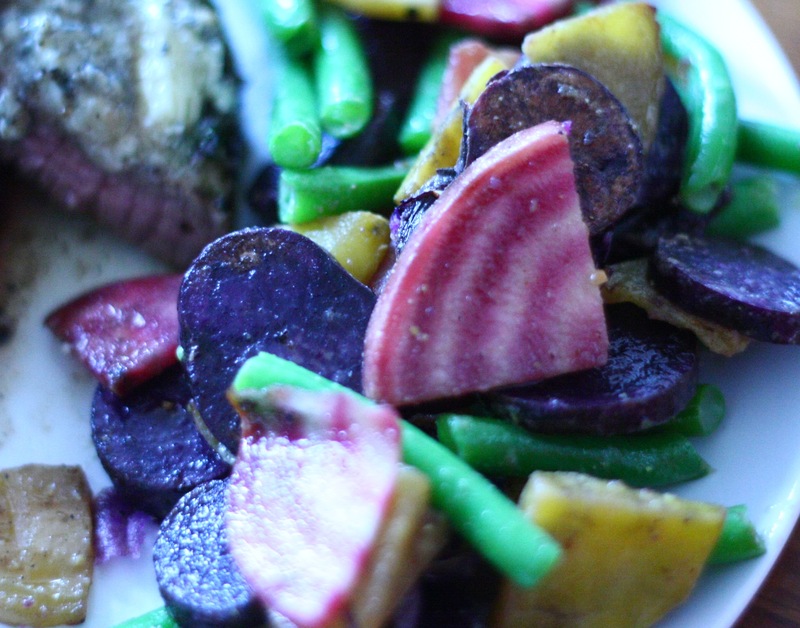 Combine beets, potatoes and green beans in a large bowl with mustard vinaigrette. Toss to coat. Season generously with salt and pepper. The beets and potatoes can be cooked on the barbeque in a roasting basket over medium-high heat if you don’t want to use the oven. Just a quick and simple side dish. You can cook the orzo as much as a day ahead of time, throw it together with the rest of the ingredients and have it ready in five minutes. It goes well with just about anything… rich fish like salmon or trout, grilled sausages, portobello caps, chicken, and so forth. Makes great leftovers too. Miam! Cook orzo and strain. Set aside. Heat 1 tbsp olive oil in a deep pan over medium heat. Add garlic and cook for about 20 seconds. 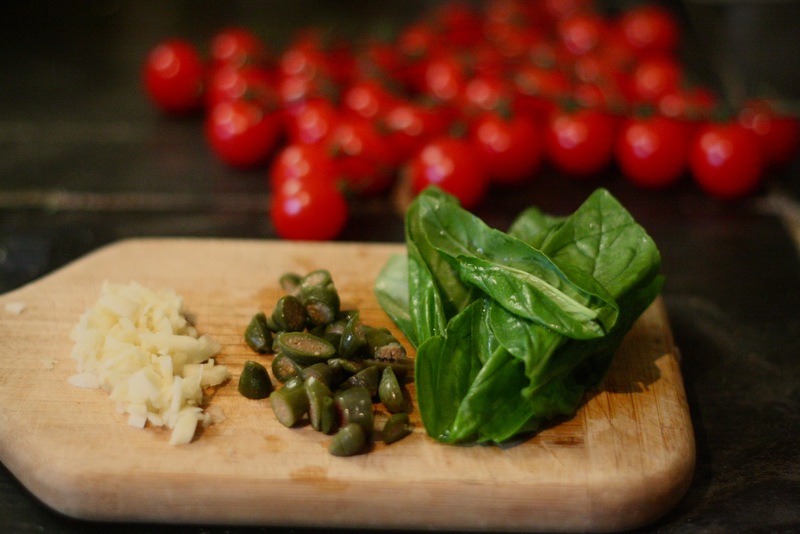 Add tomatoes, capers, basil, olives, salt and juice of half the lemon. 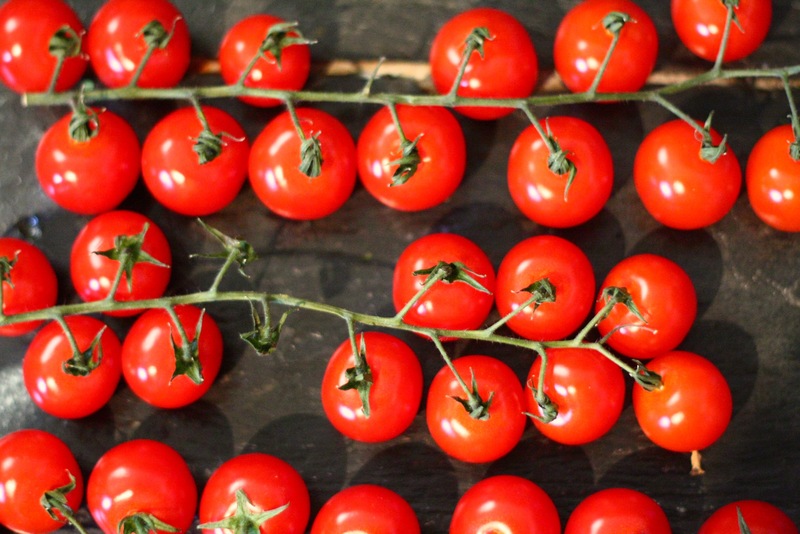 Cook until the skin begins to come off of the tomatoes – 2 minutes. Add cooked orzo and remaining tablespoon of olive oil. 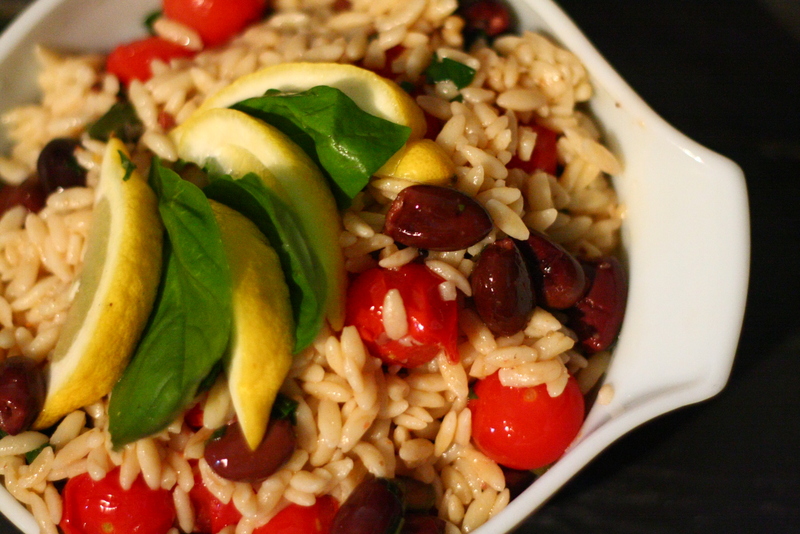 Cook until orzo is warmed through – 1 minute. Serve warm or at room temperature. Garnish with the remaining lemon half, sliced, and basil leaves. UPDATE: I’ve had an explosion of new traffic to my blog this week. If this if your first time here, welcome! I hope you enjoy it. If you like what you see, please leave me a comment or follow me on twitter @illustratedbite. Thanks for stopping by and please come again. Cheers! ps. For anyone who came here via the ‘vegetarian’ tag and is all “wtf bacon”, it’s a perfectly good meat-free soup without the bacon wrapped onions. That is why. Set a large pot with butter over medium heat. At the same time, heat broth in a separate pot over high heat. 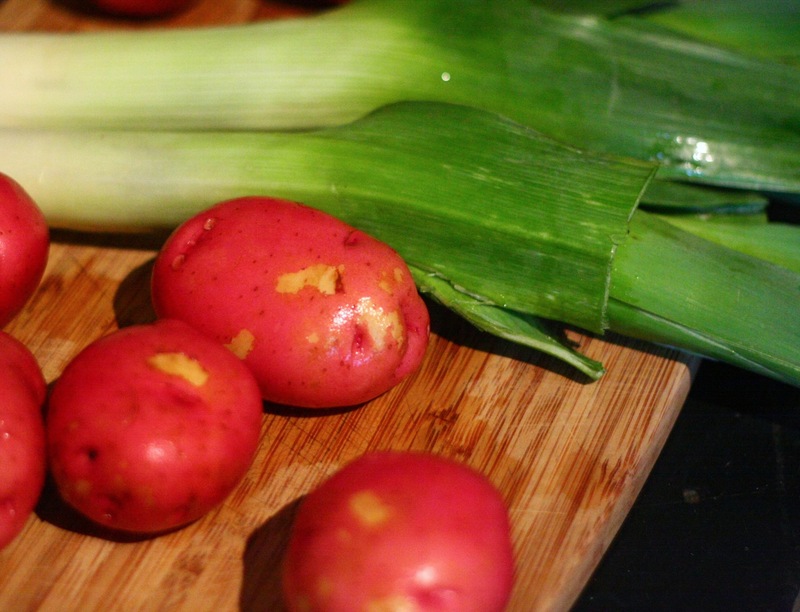 Once the butter has melted, add leeks, pepper and garlic and sautee until leeks are soft – about 5 minutes. Add potatoes and hot broth. Turn heat to high and bring to a boil, then reduce to a simmer and cook until potatoes are tender – about 20 to 25 minutes. While the soup is simmering, cut stalks out of the swiss chard and coarsely chop the leaves. Heat 1 tbsp olive oil in a pot over medium heat and add chard. Sautee for 1 minute, until leaves are wilted, then add 1 tbsp water and cover the pot for another minute. 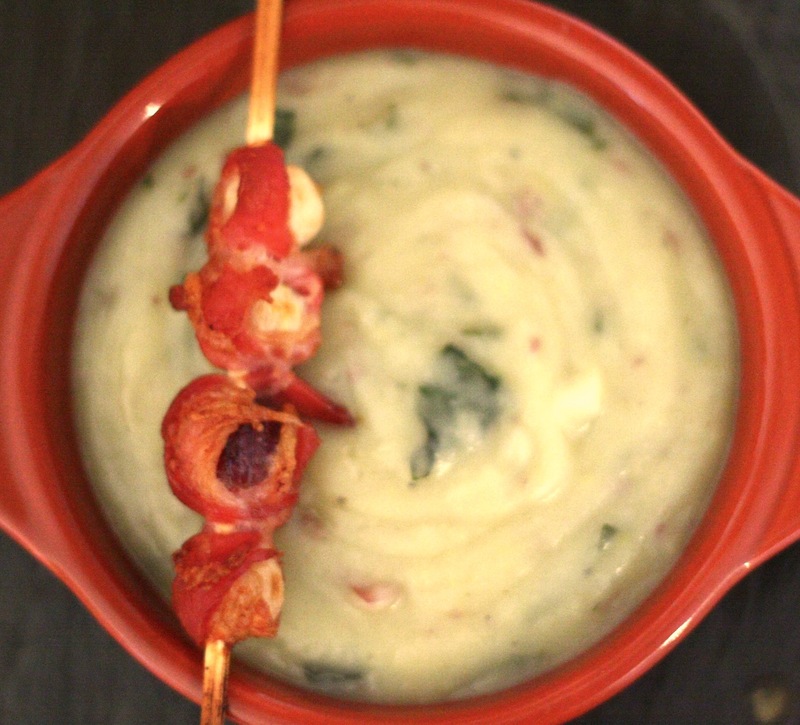 Puree soup and stir in chopped swiss chard. 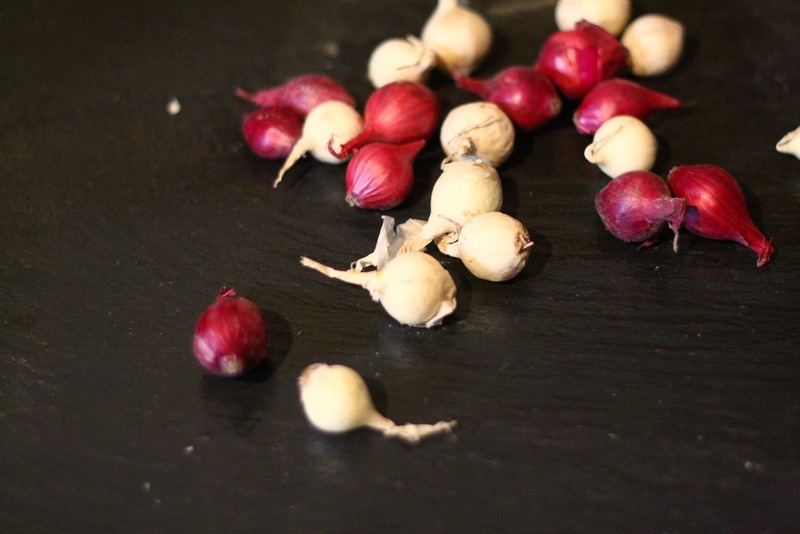 Cut the top and bottom off each onion and remove skin. 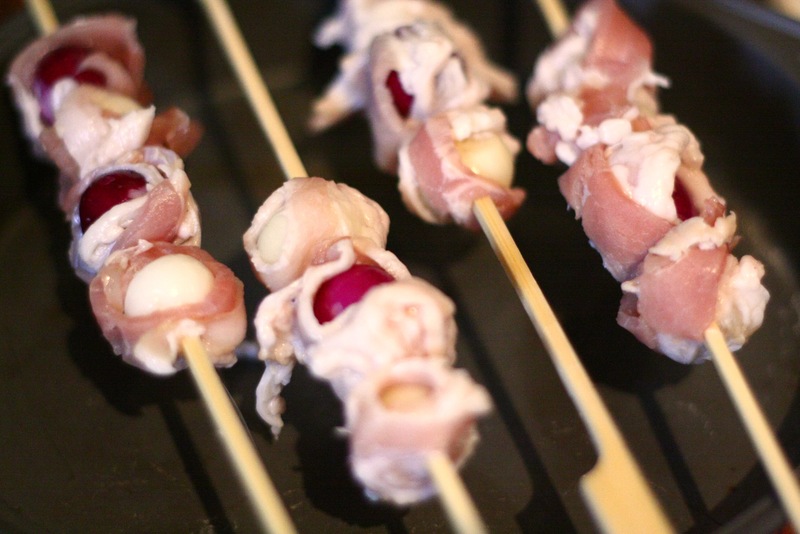 Wrap about 1/4 of a slice of bacon around each onion and put it on a skewer, 4 onions on each. 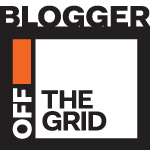 Lay the skewers on something that will let the fat drip off and collect underneath (I laid them over a small cake pan) and cook until bacon is crispy and onions are soft – 25 to 30 minutes.